Here’s one for all my west coast beer drinkers. 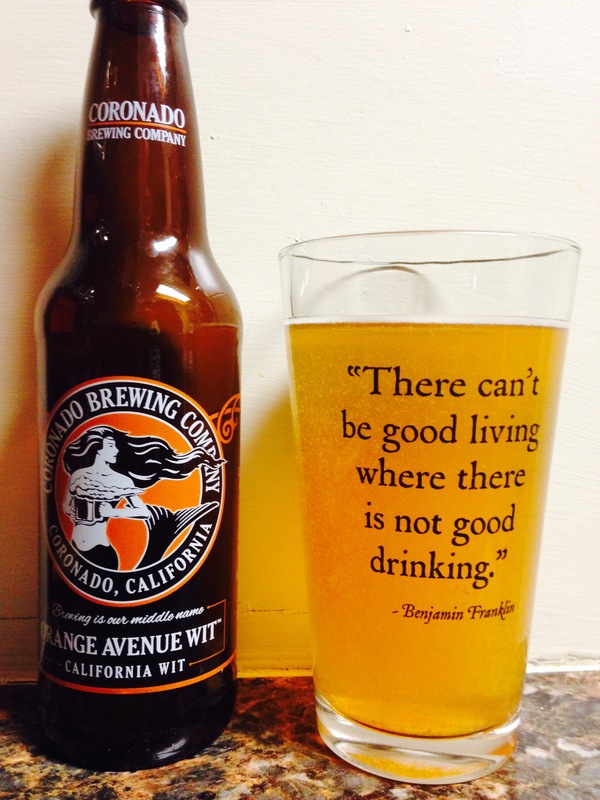 Orange Avenue Wit from Coronado brewing company. It smells like a jar of orange blossom honey, it looks unfiltered with some floaties but don’t let that stop you. The taste is earthy, honey with the typical wheat beer aftertaste. It’s quite enjoyable. Jennifer really likes it but she is a honey lover! 5.2% alc content isn’t bad either. 3.5 stars, enjoy!